There is now an opportunity to lease a rarely available, small fully fitted office at 6 Battery Road. 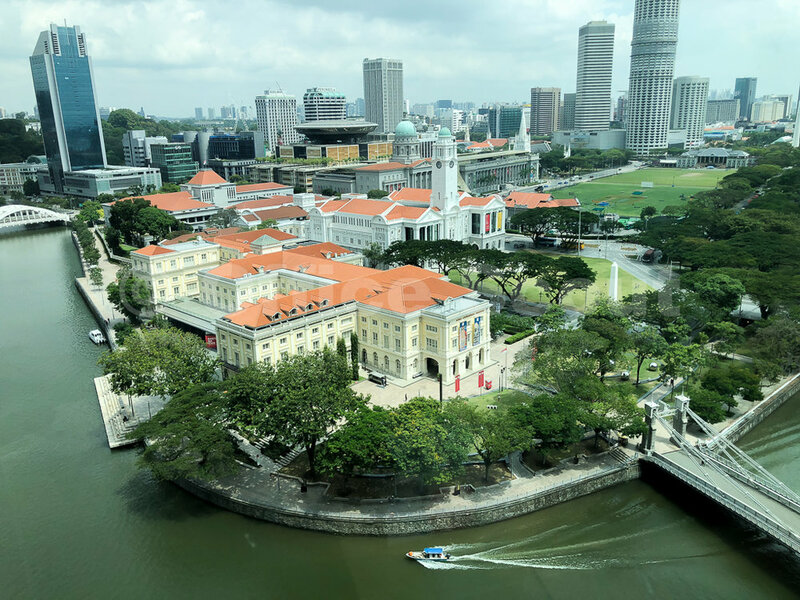 This corner unit office offers spectacular, unblocked city views of the Singapore River, the National Padang, National Gallery, Civic District and Esplanade. There is plenty of natural light and the new tenant will also enjoy the sights and sounds of the F1 race as well as festive fireworks. The unit is currently fitted with a meeting room for 10 persons, a large manager's room (or director's room), open area for 10 desks and a dry pantry. There is no takeover fee. Subject to contract, availability and landlord's final approval. Includes areas that may be subject to final survey. Located in the heart of CBD financial district, 6 Battery Road is a Grade A office tower and one of the most popular in Singapore. This 42-storey building has an impressive large lobby, is flanked by the scenic Singapore River and commands a majestic view of the Singapore CBD skyline and Marina Bay. The location provides convenient access to a myriad of F&B options, amenities and public transportation networks. The building is also integrated with the Raffles Place MRT station via an underground walkway.